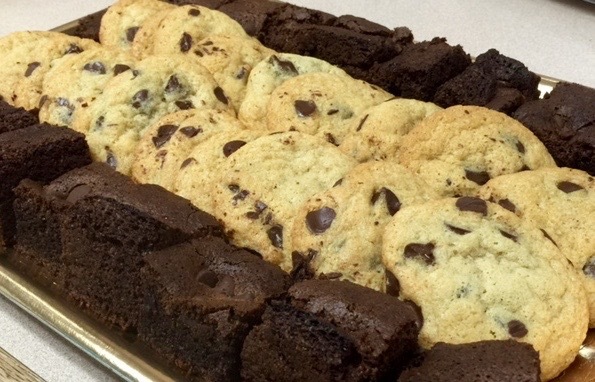 Our No flour Brownies melt in your mouth and no flour chocolate chips cookies are like the classic. 20 brownie bites and 20 Chocolate chip cookies. We are not a certified Gluten Free bakery, however we are very careful to clean our shop and equipment and make no flour recipes at the beginning of the day before we take any flour out. Since flour is stored in our ship we cannot guarantee the dust of flour is not in these products, but we do not add it. Consume at your own risk.